Learn about sound waves and vibrations. Build your very own ear drum, make salt dance, creating a ROARING cup, and more! Students are expected to explore interactions between magnets and various materials. Discover the properties of magnetism. Have FUN as we uncover all the "attractive" facts. Make your very own magnet and much more! Students are expected to observe and describe weather changes from day to day and over seasons. Students are expected to observe, describe, and illustrate objects in the sky such as clouds, moon, stars, and the Sun. The forecast for the day is FUN as students transform into mini-meteorologists! We'll discover the science behind our planet's incredible weather systems as we uncover the reason for the seasons. Students are expected to A. differentiate between living and non-living things and B. explore the basic needs of living things such as food, water, shelter, or air, water, and sunlight for plants. Explore the world of shelters. Build your very own igloo and bird nest that you can eat! Learn about caves as we make our very own stalagmites. Student is expected to identify ways that young plants resemble the parent plant. Student is expected to observe changes that are part of a simple life cycle like a plant - seed to flower & fruit. Discover what all plants need to survive & thrive on our planet. Dissect a seed, learn how seeds travel, and get a hands-on look while extracting real chlorophyll. The student is expected to A. classify objects by observable properties, and C. classify objects by the materials they are made of. The student is expected to predict and identify changes in materials caused by heating and cooling. Get ready for a hands-on "property party" celebrating matter and the changes it makes! Start your engines and join the molecule races, and create real chemical reactions. This program include the HTHT fan favorite, Space Mud! The student is expected to observe, compare, and describe components of soil by type. Students are expected to B. Identify and describe a variety of natural resources such as water and C. identify how rocks, soil, and water are used to make products. Step into the world of Geology. Learn about gems, rocks, and minerals, and where they come from. Uncover the mysteries of rock formation and crystalline structure. Pan for real gems and keep what you find! Students are expected to A. investigate how the external characteristics of an animal are related to how it lives and B. identify basic parts of plants and animals. Explore our amazing underwater world. Learn about plankton, and why ocean life depends on it. Discover how marine mammals stay warm. Get the beef on coral reefs and make your own reef to keep! The student is expected to C. demonstrate that things can be done to materials such as cutting, etc... to change their physical properties, and D. combine materials that when put together can do things they can not do on their own. Find out how much fun chemistry can be! Explore chromatography as you watch colors separate before your very eyes. Make your own space mud and gummy candies as we learn REAL chemistry. The student is expected to trace and compare patterns of movement of objects such as sliding, rolling, and spinning over time. Step back in time to the days of Sir Isaac Newton to explore inertia and motion. We'll flick a chip, topple dominoes, hop on a gyroscope and much more as we explore Newton's laws of both potential and kinetic energy. The student is expected to compare the ways living organisms depend on each other and on their environments such as through food chains. Join "The Chain Gang"... the FOOD chain, that is! 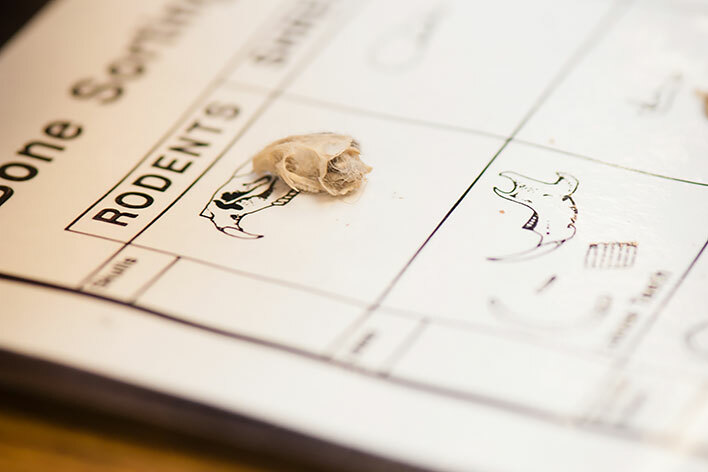 Explore ecosystems, dissect a real owl pellet. learn the relationship between predator & prey, and much more! The student is expected to investigate and record some of the unique states that insects undergo in their life cycle. Discover the absolutely incredible world of bugs! See through the eyes of bugs, learn about metamorphosis, build a home for an ant, and create a super-cool spider web! Step into the world of the pediatrician's office. Take your weight, height, and temperature. Take a deep breath as we listen to our heartbeat with real stethoscopes. Explore your reflexes and discover how a doctor measures medicine with a syringe. Meet the Angry Antibody Army and much more! The DFW team is excited to announce this program, developed by our very own Sizzlin' Science instructors! Archimedes is not only one of the coolest names and fascinating stories in science history, but also a source of awesome information and experiments! We'll test shape, size, density, and much more to study their effects on buoyancy. Step back in time to the age of the dinosaurs. Become a paleontologist and discover real fossils. Uncover the mysteries of the dinosaurs. Make a great fossil to take home and much more. Have FUN as we make sense out of our senses. Explore our 5 senses, 1 sense at a time. Discover how much we rely on our senses. "Outstanding! Interesting, fun, and educational - I love the way you taught basic science skills." Discover the amazing rainforest and learn about its importance on earth. Build your very own rainforest to keep. Use nature to make medicine, just like a real tribal shaman! The student is expected to A. measure, test, and record physical properties of matter including temp, mass, magnetism, and buoyancy, and B. describe and classify samples of matter as solids, liquids, and gases, and demonstrate physical properties. Get ready to investigate the properties of matter including solids, liquids, and gases. Find out exactly why matter matters as we discover bubbling potions, watch air take up space, & more. Chemical reactions have never tasted so good as we make our own science ice-cream... YUM!! The student is expected to investigate rapid changes in Earth's surface such as volcanic eruptions, earthquakes, and landslides. Get the facts...on those natural acts! Learn about the changing conditions behind natural phenomena. Create a bit of disaster with earthquakes and volcanoes right in your classroom! Student is expected to describe and illustrate the sun as a star composed of gases that provides light and thermal energy. What is visible light? Discover who "ROY G. BIV" is and the electromagnetic spectrum. Become "energized" as we learn about batteries, make bells ring, and light bulbs light up. The student is expected to explore how structures and functions of plants and animals allow them to survive in a particular environment. Journey to the Earth's extreme environments! From super-cold to super-deep, we'll discover the adaptations that help animals to survive & thrive in their ever-changing habitats. The student is expected to compare and contrast a variety of mixtures including solutions. Check out the coolest attraction in town! Get the solution in this fast-paced program on mixtures, physical changes, and chemical reactions. Explore acids, bases, neutrals, & indicators, and create a cool chemical concoction to take home! The student is expected to A. differentiate among forms of energy, B. differentiate between conductors and insulators of thermal and electrical energy, and C. demonstrate that electricity travels in a closed path. Explore the amazing world of electricity. 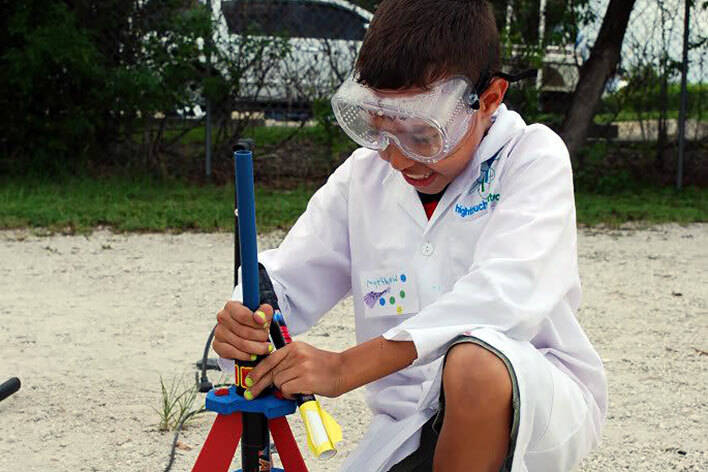 Learn what's "current" as you create an electroscope, build circuits, and much more. Let the cool facts stick on you like static cling! Student is expected to classify matter based on measurable, testable, and observable physical properties. Student is expected to B. demonstrate that some mixtures maintain the physical properties of their ingredients, and C. identify changes that can occur in the physical properties of the ingredients. Get ready for an amazing adventure into the world of atoms! Learn about elements, split water molecules, and create your own thermochromic slime. Student is expected to design a simple experimental investigation that tests the effect of forces on an object. Create an amusement park in the classroom with the help of Newton's Laws of Motion! Students will discover why amusement park rides are so much fun by designing a racecar, learning about the forces of a pendulum, and building a roller coaster. The student is expected to compare the structures and functions of different species that help them live and survive in a specific environment, such as hooves on prairie animals and webbed feet on aquatic animals. The student is expected to differentiate between inherited traits of plants and animals such as spines on a cactus or shape of a beak, and learned behaviors. Take a trip to one of the most biodiverse places on Earth! Learn all about how these volcanic islands formed and new species evolved through adaptation and natural selection. Travel through space as we explore our solar system. Discover the cool travel of sunlight, hop onto a spinning wheel gyroscope, and give us your best in the Lunar Long Jump. Enter the space station for a cool chemical reaction, and enjoy a taste of real astronaut ice-cream! Step into the fascinating world of Geology. 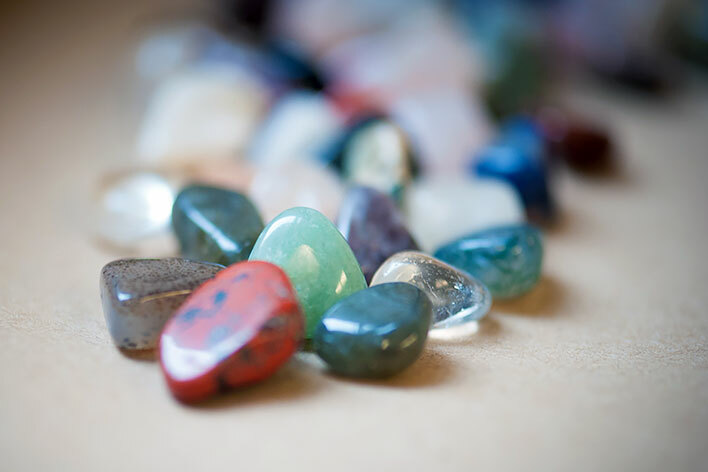 Learn about gems, rocks, and minerals and where they come from. Uncover the hot mysteries of rock formation, pan for real gems, and keep what you find! Perform acid tests and more as we classify our gems. Find out why these gems are so precious. Discover our incredible sense of sight. Have fun as we build our very own eyeball to keep, and experiment with a REAL cow eye... WOW! Explore the properties of vision and perception. Learn about near-sighted, far-sighted, and astigmatisms. See it all for yourself! Solve the crime by lunch time! Become a CSI technician as we investigate a mystery powder, teeth impressions, and lip prints. Dust for fingerprints and learn to investigate like they do in the crime labs! Roll up your sleeves and get ready for some truly icky sticky stuff! Experience a hands-on look at real cow guts! Learn the systems of the body, and find out what makes us tick! "Wow! What a wonderful lesson on electricity for our students! It was certainly an "illuminating" experience!"